Picking the right bit for your horse is crucial, but so many riders use ill fitting, or ill matched, bits because they’re convenient or misunderstood. Join renowned expert Beth Haist from The Horse Of Course to expand your bitting knowledge, and then bring your horse for a consultation. 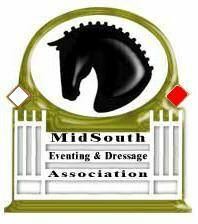 Beth will cover correct fit, the effects of various mouth- pieces and ring styles, and competition legality, and will discuss both snaffle and double bridles. She will then offer limited private sessions to consult on you and your horse’s individual needs. Beth Haist has years of experience matching riders to premier equipment, from the grassroots to high performance sport. Her Horse of Course tack shop is renowned throughout the dressage world for being the source for top shelf tack and rider needs. Trained by bit engineers in Europe, Beth doesn't work for an individual bit manufacturer; her job is to find the right equipment for you, not hustle for one particular brand.